Want more information about the movie or TV show you're watching? 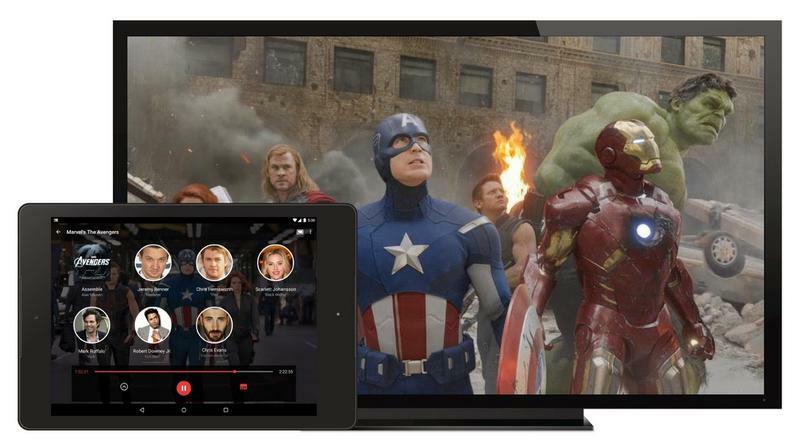 An updated Google Play Movies & TV app will provide everything you'll ever need, from actor information to what song is currently playing in the background. The second-screen functionality is nothing new, and has really been perfected in Amazon's ecosystem in the past. But Google's update adds that extra element to those who live in Google Play, and is especially good timing considering we're on the eve of the Nexus Player's launch. Going forward, when you cast a movie or TV show to Chromecast or the Nexus Player, actor and soundtrack cards will show up on your phone or tablet while you're watching. The feature is designed to give viewers much more information about what they're actually watching; and if you want to know what other movie that one actor is in, the updated app will tell you. Movies and TV shows that support the new feature will include a new Info Cards badge. Additionally, Google Play Movies has also been updated with a Material Design-inspired look, with larger images and smoother animations throughout. You'll also now be able to watch trailers directly inside the app, making it easier to use overall. If you've been waiting for a second-screen experience through the Google Play Movies app, now you have it. The update should be rolling out over the next week, so keep your eyes peeled.